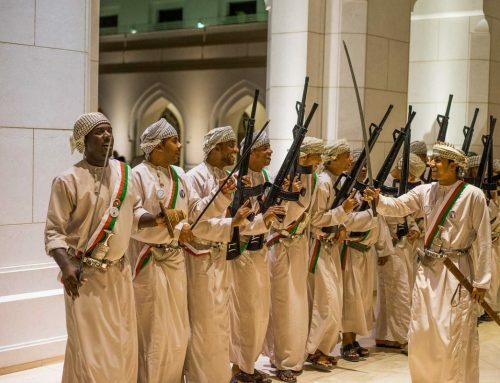 The Arab country of Oman has a long and colourful history. This history and culture have led to UNESCO deeming several sites in the country to be of high cultural significance. These historic sites range from an ancient military fort to an irrigation system that uses techniques and methods dating back to 500AD. 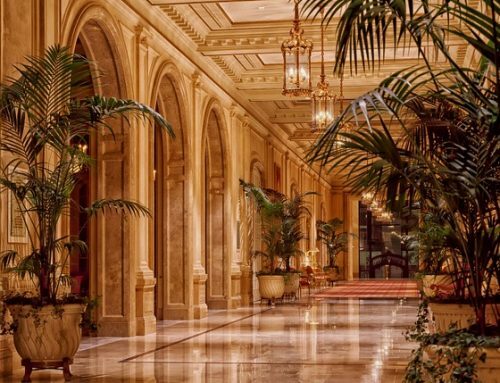 If taking in important culture on your holiday to Oman is a must for you, then make sure to set some time aside for these sites. 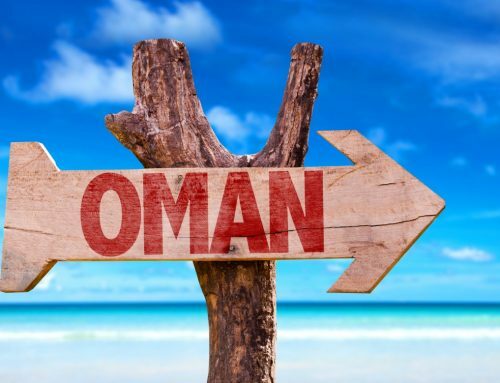 However, if you wish to simply take in the sights and relax at the waterside while in Oman, perhaps this list will be of use to you as well. In countries that are as hot and arid as those in the Arab Peninsula, water is a massively important commodity. In modern times water can be shipped and transported with relative ease, however in times long past, systems had to be put in place to make sure that the water needed was available. From this grew the Aflaj Irrigation Systems. The Aflaj Irrigation Systems (according to UNESCO) consists of 5 individual systems that best represent some 3000 other systems in use across the country today. The techniques used in previous years are simple, but robust and reliable to still have use and meaning to this very day. The systems are thought to originate around 500 AD. However, some studies believe that they could have even been in use around 2500 BC. As Oman is such a hot and dry country, this could well be very true. The system uses gravity to draw upon water from underground springs and sources in order to provide it to where it is needed most. The importance of the commodity of water is underpinned by the fact that 5 guard towers were erected to safeguard the Aflaj systems alone. The fact that UNESCO considers the system important enough to make a heritage site shows just how important and necessary to the country the irrigation systems actually are. No countries heritage site list would be complete without at least one major military structure. And the Bahla Fort in Oman is no exception. Thought to be constructed somewhere between the 13th and 15h centuries, the Bahla fort was built with an almost evergreen oasis as part of its design and complex. 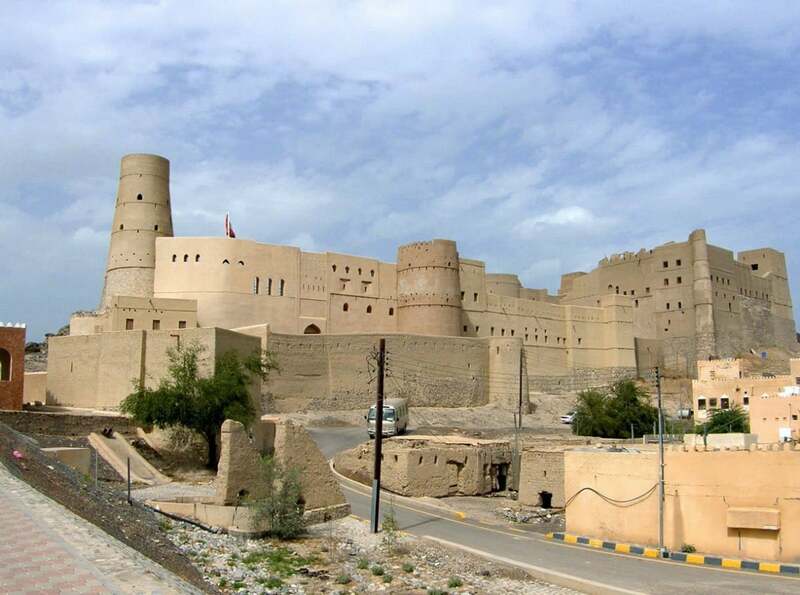 While it is only one of the forts that still exist to this day in Oman, it is the only one to appear on the UNESCO heritage list. Over the years due to lack of regular maintenance and management the fort fell somewhat into a state of growing disrepair. In order to prevent the only Heritage Site fort from becoming another ruin, intense conservation and restoration efforts were started in order to save it and it was eventually reopened in 2012 for the general public to visit and enjoy. Make sure to set aside up to several hours in the day to visit the fort to include for travel time and time to take in its sprawling labyrinth of rooms and its oasis. Trade of Frankincense was one of the most important commercial ventures of Omani history, behind the eventual takeover of oil and petroleum. 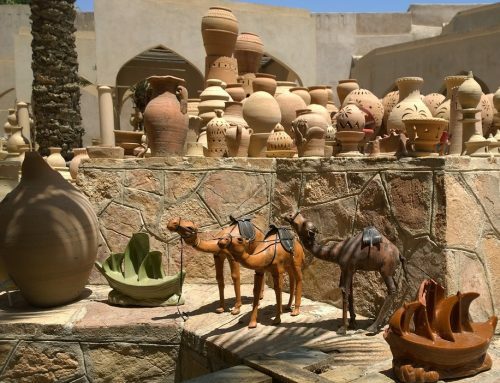 The Land of Frankincense becoming a Heritage Centre highlights to the world just how important this trade was to the country and its financial well being and growth. The Wadi Dawka was one of many sites in its time where the Frankincense would have been grown. It was here the Frankincense was harvested before being sent off to the trade centres. Shisr was the site of a small fortress oasis and caravan stop. Here Caravans travelling in and out of the routes that take the Frankincense along to the ports. Khor Rori was one of the ports in the area making use of the Omani coast and the natural harbour that the area of Khor had to offer. The port was incredibly fortified in order to protect the highly important, commodity of trade that Frankincense was. While in heavy use between the 1st and 4th Centuries, during the 5th, the port was to start falling into disrepair. Al Baleed was another major trading hub and centre in the Land of Frankincense. It was just as fortified and Khor Rori and was an important centre in the trade of Frankincense in the area. Unfortunately for Al Baleed, The port was partially destroyed during the 13th century after several conflicts and Portuguese occupation in the 15th century caused the trade there to deteriorate rapidly. It stands to reason that a country as old as Oman has several sites of historical and archaeological importance. Unesco has this view as well and as such have marked 3 specific archaeological as World Heritage Sites, due to their historical importance. The sites of Bat, Al-Khutm and Al-Ayn are all incredibly old necropolises, dating up to 3000BC, even gaining a mention in the ancient text; the Epic of Gilgamesh. The entire complex of the 3 sites is considered to be one of, if not the most, well preserved site of necropolises and buildings from 3000BC, making it of incredible historical importance. Due to this nature and fragility of the sites, there has been very little restorative work carried out on them, relying on their relative isolation for protection. Just be considerate of travel when visiting, while technically one single complex, the sites are a considerable distance apart, with Al-Ayn being some 22km south of the main area at Bat. As they are protected sites, do take the utmost care when visiting and make sure to pack your walking shoes.